So, your child doesn’t qualify for ESY (extended school year)? Not to worry. There’s plenty you can do at home to ensure your child retains her speech-language skills AND is engaged in fun summertime activities. Here’s a list–some of which overlap with those of Occupational Therapy (OT) principles, only because we know CAS to be motoric in nature. First, we’ll start with some more intense, clinic-based approaches, and then mosey on down the list for some simpler, wholesome fun. Consider a speech-language social skills “camp” for your child. This can be a speech-language based camp or one geared for kiddos with special needs. Where to find & what to do: Check first with your private speech clinic. They may have a list/binder/book/word-of-mouth as to where to go for something more specialized. They may even have a social skills* camp of their own. *Social Skills camps designed by your private speech clinic are often 1-2 (maybe as many as 3) hours of working in a group setting (4+ kids with a trained therapist). They are not meant to replace therapy, unless your SLP believes it can. A “camp” may be a unique way to package summer outpatient therapy. If camps aren’t your thing, try a speech tutor. This is especially great for those families who may not qualify for ESY, and do not access private speech outside of the academic (school) setting. What to find and what to do: Ask around. Even if you don’t partake in private speech, call or stop by a local clinic. Ask the receptionist she knows of anyone looking to tutor kids in speech. If not, see if you can post a wanted ad on the clinic’s bulletin board. “Wanted: a former (think: retired) or current SLP to work with my child in my home (or library) on apraxia/word retrival/sequening, etc.” Leave contact information. Post similar ads at your community center, local college (think: communication disorders department for a student), library, coffee shops, grocery stores, etc. Be sure to ask the appropriate personnel before posting. Roadtrips! In the car (roadtrips, etc), quiz your chid(ren) on hard-to-say words. You’re familiar with their trouble spots. Working with your child this way decreases the performance anxiety. Of course, only do this on roads you are familiar navigating &/or have a co-pilot (another driver). Speech practice shouldn’t deter you from your driving. Art Fun. Get messy with your child. Let her smear finger paint all over (do it outside). Have her tell you about the colors she is making and how the pain feels oozing through her fingers. Paint the house. Not really. Not with “real” paint, anyway. Let your child have control of the hose. Squirt it with water, giving it the appearance of a darker color, like paint. This is great for working those big muscle groups and may even elict some communication, observation. Make a list of all of the things you want to do this summer. Have your child help you with some ideas. If he can’t say the words, see if he can act them out. Add them to a big piece of posterboard and tick off the items as you do them. In similar vein, fill a jar with all of your summertime activities and pull one each time your child gets bored, every Thursday, everyday, or whatever interval works best for you and your family. Read a book out loud, host a book group party, or act out a story. You can really have fun with this and adapt for various age ranges. A 3rd grader for example may benefit from doing something like this with a small group or in partners. Have a little discussion, make some art to go along with the theme of the story, whip up a yummy book-related snack. Your younger kiddos may just appreciate the time with you and the closeness of hearing a story. Swing and Sing. Go to the park and get active. Here’s the catch: as you push your child on the swing, have her say a target word/phrase/sound. Everytime he goes down the slide, have him combine words, “Me slide!,” “Go down!,” “Do it again.” Think of your child’s abilities and then priovide a bit of a challenge. [These ideas are not meant to take the place of speech-language therapy with a qualified SLP. They are only meant to supplement the work your child would do with a professional. CAS is a very serious childhood speech disorder. If you feel your child has it, please do not attempt to treat on your own. Your child will not “grow out of it.” Please seek the advice of an SLP]. For more ideas, please refer to SPEAKING OF APRAXIA (Woodbine House, 2012). IDEA mandates an Extended School Year (ESY) for students at risk for losing their skills during the summer. ESY is not a program designed to increase skills or develop new ones. 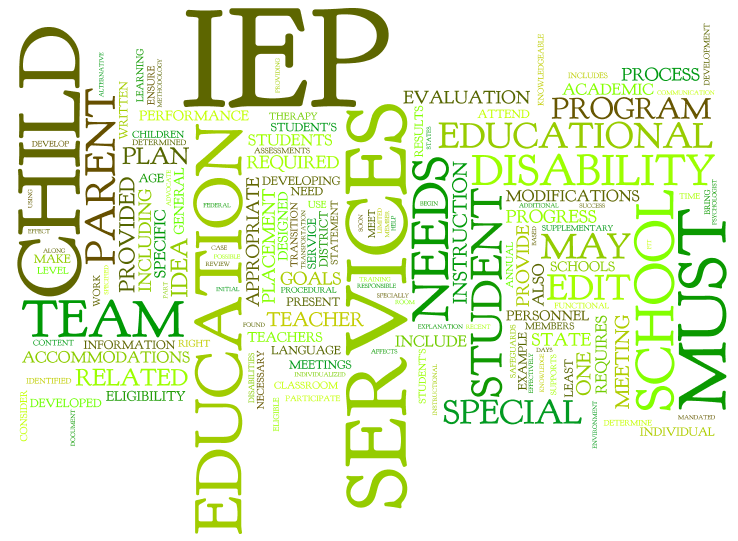 Participation in ESY is determined by IEP team recommendations and must be documented in the IEP. Has your child made progress–and by what degree–in his IEP goals and objectives? If your child is having trouble keeping pace, then it may be time to look at ESY. Does your child have any interfering behavior? Ritualistic or self-injurious behavior that may prevent him from progressing with IEP? If so, ESY may be a good option. 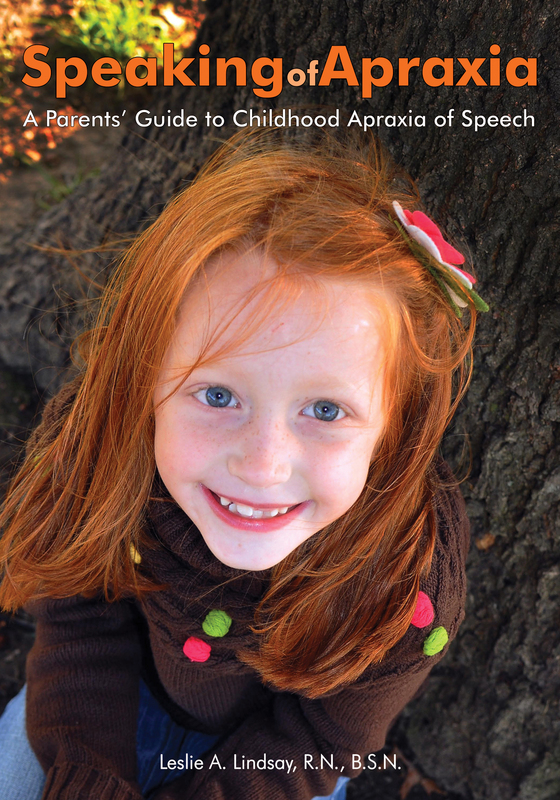 How severe is your child’s apraxia (other issues)? Does the team feel as though your child’s diagnosis is severe-enough to warrant an extended school year? Finally, are there any special circumstances that inhibit your child from gaining the skills necessary to benefit from education? These are hard questions, I realize and ones I struggle with as a mother of a child with CAS. In fact, we have an IEP meeting this week to help determine the best course of action for Kate. If your child does not qualify for ESY, consider that a “good thing.” It means she is progressing and doens’t need reinforcement over the summer–at least according to your IEP team. If you are still concerned about how you can keep those skills fresh over the summer months, check back in next week when we talk about what you can do at home, with private speech practice and more. Branded by CASANA (Childhood Apraxia of Speech Associaion of North America), this is the first official day worldwide that has recognized and supported childhood apraxia of speech (CAS). It’s a time to come together and educate and bring awareness to the challenges–and abilities–of kids with apraxia. CAS is one of the most severe childhood speech-language disorders in which children know what they want to say, yet have difficulty getting their brain and mouth to work in tandem. It’s very challenging and frustrating for children and their families alike. Kids with apraxia are generally late-to-talk (well after one year of age, if then), may have feeding/swallowing difficulites, have decreased intelligibility (can’t understand them), good receptive language (can understand all that is said to them), but have difficulty with expressive language (can’t articulate thoughts/feelings/needs/wants). CAS is a motor-based neurological disorder but can be overcome with lots of speech-language therapy by a qualified SLP. On Tuesday, it’s time to share with others what you know about apraxia. If you are raising a child with the disorder, like myself you can do a number of things to get the word out. (Sorry, bad pun). Does your child have a success story? Ask if you and your child can share their story with their classmates, in a support/education group, or at a civic event like Scouts. Still need to educate your own (extended) family about apraxia? Tomorrow may be just the day…when my daughter was younger, we added a little blurb to all of our holiday cards explaining apraxia, and even sent out graduation announcements when she completed a full two years of special “speech preschool.” When family had questions—we did our best to answer them. Likewise, you can share your child’s gifts and challenges with her teacher. Make a booklet of all of your child’s strengths, how she learns best, and educate them this way. Gift your teachers, special education folks, grandparents, etc. with a copy of SPEAKING OF APRAXIA (Woodbine House, 2012). Write a letter for your child to open in the future. List your wishes, hopes, and dreams for your child. Talk about how you’ve seen him grow in his speech over time. 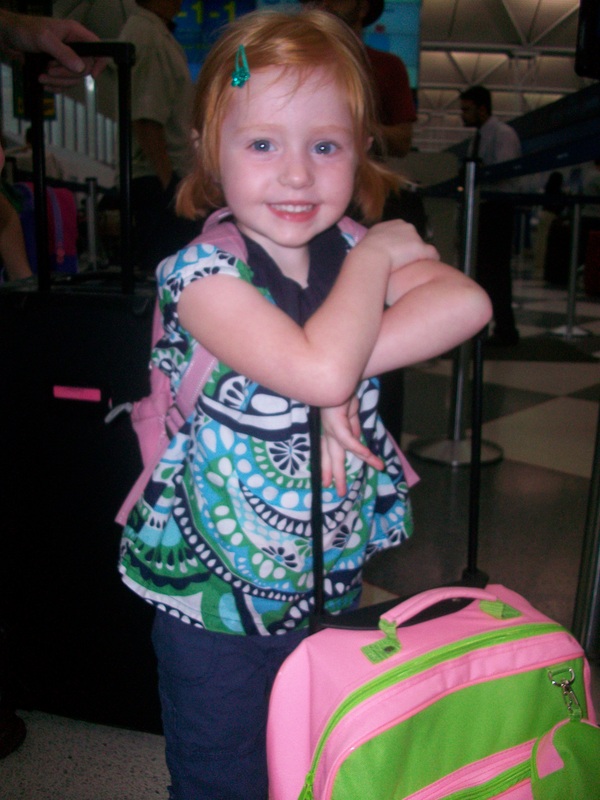 Apraxia Monday: Gets a NEW site! Happy Monday!! I have some exciting news–Apraxia Monday now has it’s very own website. I started thinking apraxia was blurring a little with my life as a writer and so wanted to give it it’s own distinct place and website address. HOORAY–you found it!! As always, this new site will continue to post all things related to apraxia, including interviews of SLPs, products, ideas, real-life examples and experiences, and content from the book, SPEAKING OF APRAXIA. I am looking for apraxia story ideas or guest bloggers. If you want to step up to the plate, let me know!! Drop me a line at leslie_lindsay@hotmail.com and I will get back to asap. In the meantime, I will still be posting “The Teacher is Talking on Tuesdays” at my old place (www.leslielindsay.com). So, if you’ve found that topic helpful on your apraxia journey, this is the site you’ll come to to find that content. Thank you for being loyal readers and for putting up with my move! I am honored to be invited to speak at their third annual Atypical Learner’s Conference in Annapolis, MD. My topic: apraxia, of course! But as we all know, apraxia is more than just apraxia, it’s a big ball of wax. So, to narrow it down a bit, I will be speaking on innovative ways in working with CAS. Sounds like fun…and a bit of of a challenge! When I think of innovation, what comes to mind is technology. Nothing needs to be fancy here, no siree…but fun, hands-on, interactive and motor-based and parent involved speech practice. (In fact, there may be a little technology if you go the route of an iPad for speech apps). In the morning shuffle, why not have your child name the items of clothing she is putting on? “Here is my shirt. Now my pants.” Meet your child where she is at. Are those words/phrases too difficult? Tailor it for your child. Instead of “pants,” say /p/. 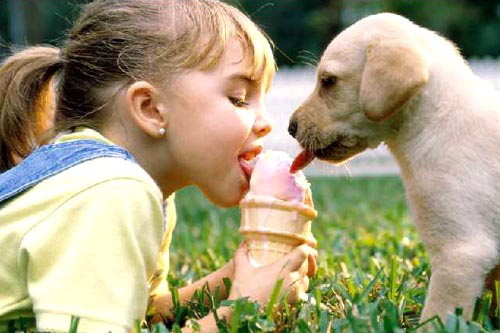 If you have a pet, can your child feed or groom the animal? Have him say, “Soft fur,” or a variation of as he pets the kitty or brushes the dog. At breakfast, have your child identify what she wants to eat. You may have to create cards (Boardmaker or use the Clip Art function of your home computer) to depict different types of breakfast food choices (cereal, oatmeal, waffle, yogurt, fruit, etc). Laminate it if you are so inclined and then have your child point to and attempt to say those choices. Ready to go? A friend of mine created a board in which her four children can take a quick glance to make sure they have everything ready to go for the day. Backpack, shoes, coat, library books, etc. Again, think clip art and Boardmaker. Can your child practice saying some of those words? Don’t forget the car as a place to practice speech! If you drive your child to school, use this as an opportunity to practice funtional daily phrases like, “My name is ___.” “Bye-bye” “Wait for me!” “Can you play?” If you child is older, go ahead and practice some other developmenally appropriate words/phrases/spelling words. There are plently more opportunities to “sneak” in speech practice…what are some of your favorites? With my two girls snuggled on my lap after bathtime and a busy day, we dove into Helen’s dark, silent world. But just before Helen turned two years old, she became very sick with a fever. In fact, her doctor thought she wouldn’t make it. But, Helen’s fever broke, and all was well. Or, so we thought. 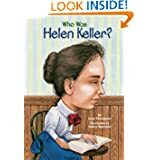 Her mother realized Helen could no longer hear when the dinner bell was rung; Helen didn’t blink when objects moved close to her eyes. I paused reading, and looked to my daughters, “Wouldn’t it be hard if you were blind-folded every day, all day and everything looked like night?” They nodded, their round eyes growing big. I asked, “And what if your ears were stuffed with cotton balls? That’s how Helen felt all the time.” Kate and Kelly cupped their hands over their ears and closed their eyes. And when I read this sentence in the book, “Imagine if you could not see, hear, or speak. How would you let people understand you? How would you ‘talk? '” my voice caught. I pulled from what I knew: Childhood apraxia of speech (CAS). I paused and bit my lower lip. Little Helen, born 120 years earlier than my own children was employing the same techniques my daughter was CAS was using to communicate with her family. As a toddler, Kate spoke in grunts and gestures. She had a few rudimentary sounds which we all learned meant something. For example, sucking as if from a straw meant “thirsty.” Tapping her fingers together meant “more.” “Namja” meant pacifier. When she pulled my hand, it meant, “come see–I have something to show you.” Brushing the tops of her hands meant “over, done.” There are countless others, and I am sure as you read this, you know the ones your child uses to communicate with you. That night, we closed the book and promised to read another chapter the next day. The girls were intrigued. At this point, I handed the book to my husband, “Here, you take over now.” It was as if I slipped into a time warp. Although my daughter is now 8 years old and doing just fine in regards to her apraxia, reminders of those early, days was a truth I was not ready to handle. I thought I was reading a biography about a blind and deaf woman, not reliving painful memories of my daughter’s own inability to communicate. While those early years may have made an impact in my life, I can see that for Kate, it barely phased her. 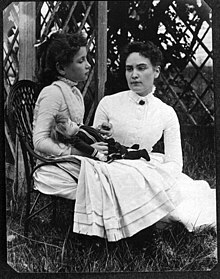 Children, like Helen Keller are resilient and can overcome great obstacles. They can even learn and grow from these things…who knows, maybe some day our children with CAS will grown into speech-language pathologists and help other children find their voices. It’s been a busy and somewhat challenging 2nd grade year for 8 year old Kate, who suffers from Childhood Apraxia of Speech (CAS). Having been dismissed from speech therapy during her tenure as a full-day kindergartner, we thought we were out of the woods. But, those of you raising a child with CAS know that you may never truly, 100% be completely out of the woods. There will likely be some twigs and branches that obstruct your view. When Kate’s 2nd grade teacher mentioned Kate really enjoys participating in Reader’s Theater in the classroom setting, I cheered. Fluency with reading is one of those “branches,” if you will that may leave your child with CAS lingering in the woods. 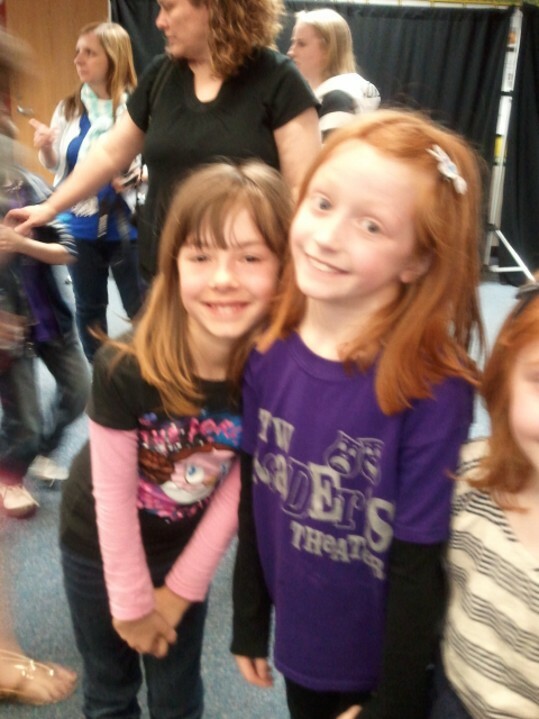 When the Reader’s Theater Club was forming, I promptly signed my daughter up. develop fluency through repeated exposure to text. integrate reading, writing, speaking, listening in an authentic context. create confidence and improve the self-image of students. 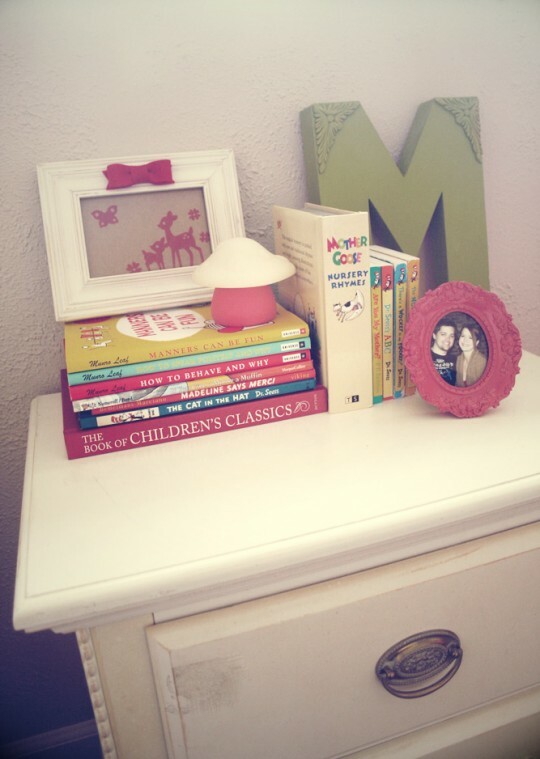 provide a real purpose for reading. provide opportunities for cooperative learning. For weeks, Kate stayed after school and worked in small groups lead by teachers who volunteered to stay after school sharpening and honing these kiddos projection, fluency, articulation, confidence, and teamwork–all important life skills, but also skills for strengthening her experiences with CAS. Last week was Kate’s final performance. I am happy to say, she was the best little “narrator #2” I ever heard. When another parent who knows Kate’s struggles leaned over and whispered, “She did really good,” my heart soared. You just never know how your children with CAS may surprise you!